When I travel, I gravitate towards FOOD. It’s a little tricky for me because I don’t eat meat (and choose the same for my kids) but Chiang Mai proved to be an easy place to be vegetarian with many plant and fruit based options to try! For our 2nd night in town, we strolled along the Chiang Mai Walking Street Market which gets really jam packed! Let this serve as a warning to be prepared for the sardine-like scenario below. TRAVEL TIP: Wear a belt or body bag and keep kids close to you at all times. There was this really cute and talented young girl singing pop songs which amused us for a few minutes. Check out some of the food and drink offerings you can find in the Chiang Mai Walking Street Market. Most of them are healthy, too! I ordered the iced lemon grass drink which my daughter loved! How cute are these clay pots?! Where can I find this egg / pancake maker? Fresh passion fruit juice for so cheap! Wanted to drink all of the juice! The deep fried Corn fritters were so yummy!!! I am a fan of sticky rice delicacies so I had to try the Sticky Rice with Red Beans which is really filling! There wasn’t any space anymore in my tummy for this homemade coconut ice cream. But if I find myself back in Chiang Mai I will definitely give this a try! What to do in Pai for Kids? It must have crossed your mind since previous travelers report that Pai’s charm lie in the art of doing NOTHING. As a mother, it brought out the beauty of nature’s thrills, a celebration of mindful motherhood and a childhood unplugged! Here are my top 8 things to do for kids in Pai which you can do, too! 2. Ride an elephant at an Elephant Camp. If your kid is too young for it, maybe watch other people interact with this massive animal. It’s a feast for little eyes! 3. Fish feeding at Pai Village Boutique. It’s not an actual activity by the resort but the kids went ahead and did their own thing after meals to their delight! These are simple pleasures that we have taken for granted. They are everything to young ones! This is an activity for slow parenting which I am a huge fan of! 4. Trail walking at one of the local tours. This one was taken towards the Pai Canyon. Lovely isn’t? 5. Sample the many fruit smoothies from the local cafés. Pai has tons of coffee shops but since kids don’t drink coffee, I shared my organic strawberry smoothie from the Pai Tree House Cafe which was a cool salvation during the heat of the day! 6. Watch an authentic Thai Foot Massage: Luckily, my daughter is happy to stay on my lap throughout a massage. She fell asleep right there! I had a combination of foot and head – upper body massage for 200 Baht. It was supposed to last 60 minutes but my magician therapist made it feel like forever! This was at Mamalon’s Massage right next to Pai Village Boutique Resort and Farm. 7. Go on an organic farm tour at the Pai Village Farm. If you are a guest at the Pai Village Boutique Resort, you get a free shuttle to their oragnic farm just 5 minutes away. Learn about farm animals authentically! It was an amazing experience for both my daughter and I. 8. Dip yourself in the Waterfalls and Hot Springs. Water has healing properties and it’s always nice to sample different water experiences around the world! We decided to head to Sae Ngam Hot Springs which is 20 minutes away from Pai center. We paid an extra of 150 Baht per person to our driver for fuel and entrance fees. You don’t see it in this photo but there was a monkey swimming in the water with us! Oh, the thrill! If you are traveling with children, I encourage you to keep the electonics away. Savor the outdoors. You will be surprised that they can appreciate all the wonders nature provides. We looooove maps! They represent so much in the world of travel. Wanderlusts have maps of places they want to see and bucketlists of things to do and restaurants to eat in. Here is a wonderful combination of all by Arielle Guevara for FLOW Retreats. If you haven’t figured it out yet, I travel most of the time because I organize and teach yoga retreats for FLOW. My little tot is still breastfeeding at 17 months so she gets to tag along, too! How many of you dreamt of visiting a chocolate factory as a child? I did! I imagined dunking my body in a river filled with chocolate sauce just like in Charlie and The Chocolate Factory. Yes, me and my wild imagination! Even if it took 20 years to manifest this childhood dream of mine, I am glad I was able to share this educational experience with my daughter and The Flow Tribe. Look at this gigantic machine used to pound the cacao into a paste. Oh, if only you could smell this stuff! This picture below shows the different stages of cacao production from fruit to end product. Please contact tours@bigtreefarms.com for details, directions, and reservations. Enjoy your very own chocolate factory tour! Remember to buy many chocolates for gifts! India is close to my heart. I must have had at least one past life in Motherland for my affinity to Indian food is strong. To my delight, Ubud now has an Indian restaurant serving authentic dosas and thali plates! You may choose from the vegetarian or the chicken plate with assorted Indian dishes like dahl, raita, rice cooked in herbs and then. You must order their lassi and coconut kulfi as it is a favorite choice among the local kids in Ubud. Oh, and their rice too seems to have a magical ingredient, you’ll want to order more! TIP: Always request for non-spicy dishes when ordering for the kids! Traveling with children seem to be very challenging for most, manageable for me at 1 or 2 kids. But to travel with 4 children without a nanny is somewhat of a feat and I look up to my good friend and godmother to my-little-globetrotter- Maya, Kaye Garcia, for doing her yearly travels with her whole brood. To learn practical tips on family travel with multiple chidren, I interviewed her on her recent Italian adventure. Last October 2014, We took a trip to Italy. It was the first time we traveled with four kids. At the time, I was exclusively nursing Carolina. As usual, we didn’t bring any help (we never really do). We were traveling with my in laws and since we were a group of 16, I knew we would get help one way or another. Carlo (my husband) and I have been to Italy before but we decided to take the kids there because our boys are old enough to appreciate sights and culture already. They’re not picky with food and they were old enough to watch their own belongings and help out. Most of my efforts were directed towards my girls. We flew via Etihad which was perfect because the long trip was cut in half instead of flying to a nearby country and then connecting and being on a plane on a very long haul flight. We flew coach but sat on bulkhead seats so we didn’t feel claustrophobic the entire time. My kids are used to flying. We travel to the states almost yearly and they know how to stay put and entertain themselves through airport transfers and long haul flights. Our flight to Italy was no different. Aside from having to nurse frequently, I didn’t feel exhausted at all. As we landed, we had to secure car rentals and drive three hours from Rome to Tuscany. This proved to be a little trickier for the kids because at this point, they were already tired and hungry. We powered through, stopped for a meal along the highway and finally arrived at our destination. Villa Florentine in Tuscany. THE BEST. One main villa and two smaller ones totaling 12 bedrooms, 12 baths, main dining, 3 kitchens, heated pool, pizza oven, outdoor dining tables, and a view to die for. The pace of our itinerary was relaxed and flexible. We had a list of places we wanted to see nearby- San Gimigniano, Florence, Sienna, and Cinque Terre. We took our time, drove around, enjoyed the sights, devoured the delicious food and wine that Italy had to offer, and most importantly- spent quality time with our loved ones. We talked, laughed, played, and took what felt like a billion photos. The owners of the Villa arranged for a pizza night- chef came and prepared about 10 different kinds of pizzas from appetizer to dessert pizzas. We were stuffed and I couldn’t imagine having another Pizza in my life (but we did anyway…everyday of our two week trip) We also arranged for cooking lessons from an Italian chef. He taught us how to make pasta from scratch, tiramisu, chicken liver pate, and mushroom sauce for the pasta. I was in cloud 9 because I looooove to cook. And learning how to cook authentic Italian cuisine was definitely a highlight for me. After a week-long stay at the Villa, we packed our bags and drove back to rome where my amazing Father in law booked apartments for all of us. Each family had their own apartment located near the Roman Forum and since Carlo and I have the biggest family, we lucked out and got the largest one. Two floored apartment with two bedrooms, 2 baths, a kitchen, dining room and spacious living room. We were psyched! When in Rome- we spent four glorious days drinking in the beauty of this vibrant city. We hit all the tourist spots all along wearing my infant. It was the easiest way to get around without bringing a stroller. I was able to direct feed on demand and didn’t even bother bringing my breast pump or any bottles. Best decision ever. Nothing to wash and my baby felt secured no matter where we were. Baby wearing is not only convenient but practical too because I have both my hands to hold on to my other kids. Safety is my number one priority when traveling with my kids and I would never risk losing any of them. My kids are well read. So they knew enough about Rome and all it had to offer even before we set foot there. That helped them appreciate the historic tourist spots, food, language and people. They watched videos online about what to be careful of (gypsies to be exact) while roaming the city. We did a little bit of shopping ( I’ve accepted the fact that while traveling with kids in Europe, I won’t get as much shopping time as I’d like) here and there. One of the highlights of our trip was our food tour. It was our first time to try a food tour and I highly recommend it. We were taken to places we never would have thought of or discovered and we learned a lot about the history of that place or that dish. Travel has a way of bringing people closer. For our family- always. We enjoyed eachother’s company, no one was of any inconvenience, no one got lost and no one was late! I think traveling with kids is a great investment. It opens their eyes to the larger scale of things. That the world doesn’t start and end in Ayala Alabang and that our way of life at home is not the only way to live. They came home with a richer knowledge of the world and I think that’s worth all the effort Carlo and I put in just to get them ready in the morning! Hahaha! I can’t say enough compliments about this place. It was PERFECT. Hot and cold water, extremely clean, complete amenities, complete kitchen, wifi and oh so picture worthy. This is the company that handled all the apartments we rented in rome. Close proximity to tourist spots hidden in the smaller alleys so it wasn’t crowded at all. Easy to find taxis near the area and we were literally sandwiched in between amazing restaurants and cafes. UH-MAZING! PACK RIGHT : I’ll be the first to tell you that I don’t pack light. I don’t over pack clothes and accessories but I make sure we have enough for the entire vacation. The holy trinity of packing for a family of six is: 1. Clothes– check the weather forecast in advance and make sure the kids especially have the appropriate clothes. Arrange the clothes in sets already so it’s easier to dress up the kids daily. I always have one set of extra clothing in the backpacks of my kids just in case we get stranded somewhere. 2.Medicines– My kids have allergies and asthma. I always have a complete set of medicines for all kinds of illnesses & ailments. I place them in ziploc bags and then pack them in a hard case since some medicines still come in glass bottles. I bring a portable nebulizer and a complete set of travel adapters. 3. Food– I didn’t have to worry about bringing milk for my baby during our trip because I was nursing exclusively but I had to bring tetra pack milk, water and some snacks for my other kids. Sometimes during trips, kids want to eat things that are familiar to them. TAKE IT EASY & ENJOY THE MOMENT I realized after many years of traveling with kids is NOT EVERYTHING WILL GO AS PLANNED and that’s okay. I’ve learned to forgive myself for the places I couldn’t see because one of my kids was taking a nap and I didn’t want to wake her. Or an amusement ride we so desperately wanted to try but one of my kids had to stay behind. I don’t pressure myself to achieve too much during trips. My goal is to be considerate to the rest of the family that we are traveling with and exposing my kids to what that country has to offer. I don’t beat myself up I wasn’t able to meet up with friends for drinks because my kids were tired. Traveling with kids is about bonding and learning. I hope my kids remember our trips when they grow up. That we put so much love into our plans so they could have priceless memories to hold on to. Her recommendations are definitely going into my bucketlist! Thank you, Kaye for sharing valuable information on traveling with your tots! And to my readers: Do you have other tips to share for Rome and Florence with young ones? Please do post away! 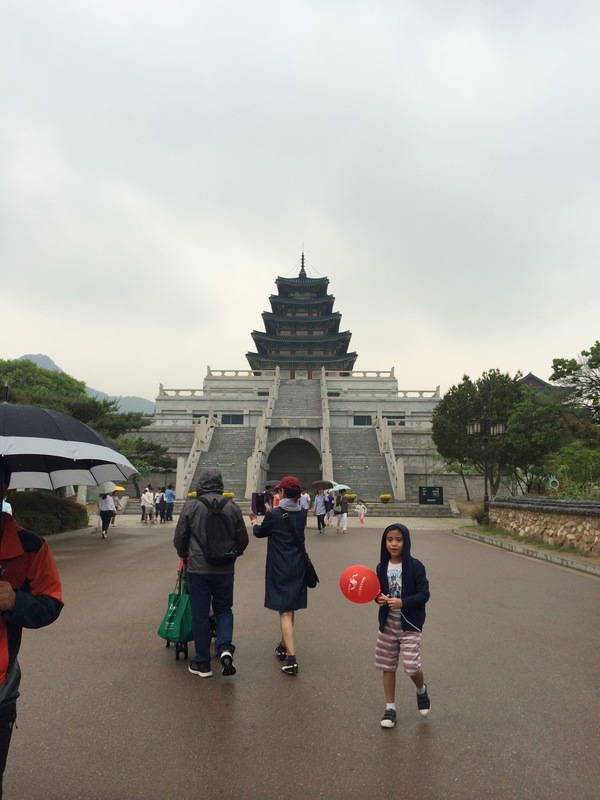 Celebrating Your Child’s Birthdays: Do You Party or Travel? When your children hit their birthdays, do you throw a grand or intimate party? Or do you choose to travel? We’ve personally done both but if you ask me what I like doing, I prefer the latter for many obvious reasons. You are reading from a family travel blog, after all! When my son Santi was little, we would leave for beach trips to celebrate birthdays and everything else. It was so easy to leave for impromptu trips- just me, my husband and this little baby boy. As he got older, celebrations inevitably changed. 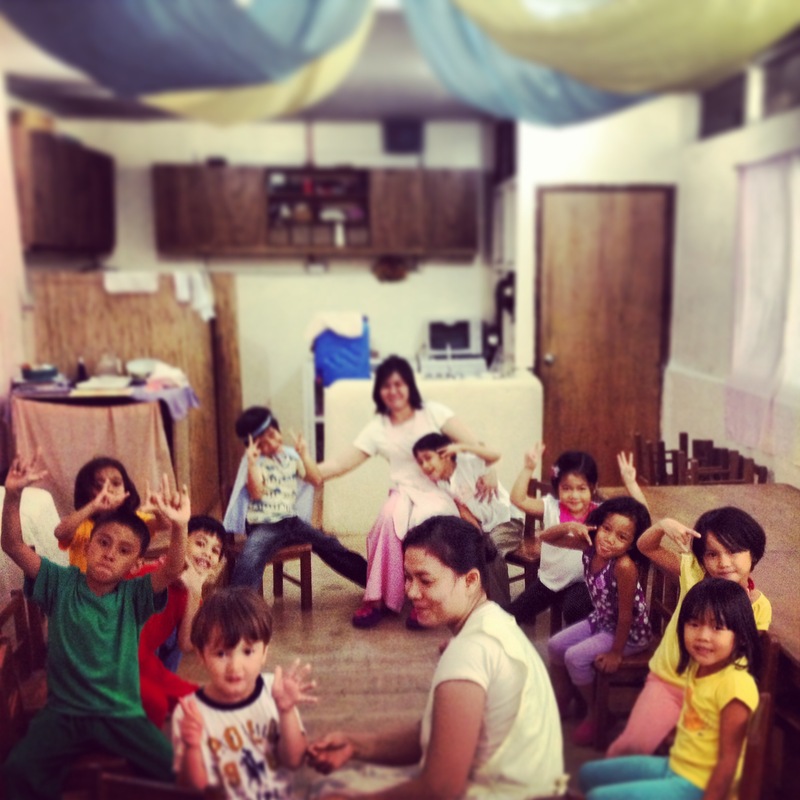 Here was a very intimate celebration of Santi’s birthday at his Waldorf School. They told of his birthday story which put me to tears and had a simple meal together with his Kindergarten classmates. Then came a point where he asked to celebrate like his friends do. And so we obliged and threw him simple parties with close family and friends. Santi had a Yellow Submarine Beatles-inspired party for his 6th birthday. 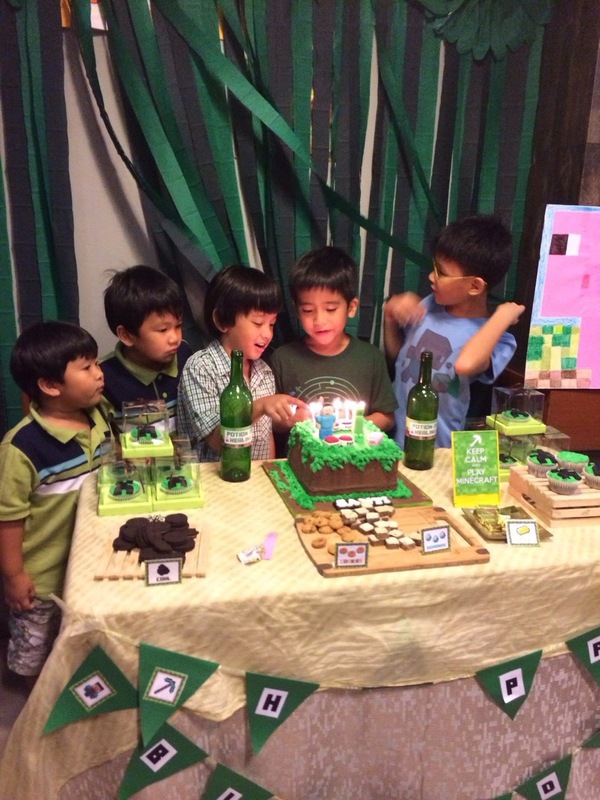 His 7th birthday was Minecraft themed as he requested. 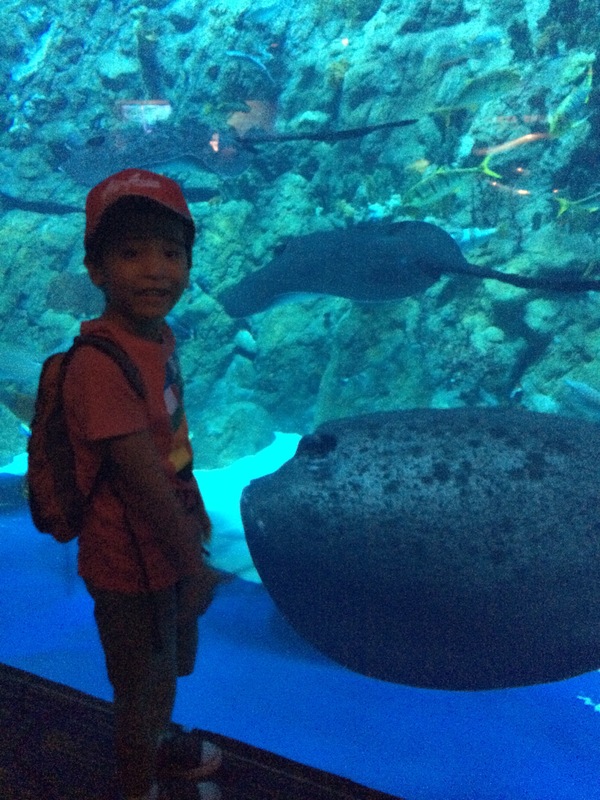 For his 8th birthday, my son spent a whole day at Ocean Park, Hong Kong! 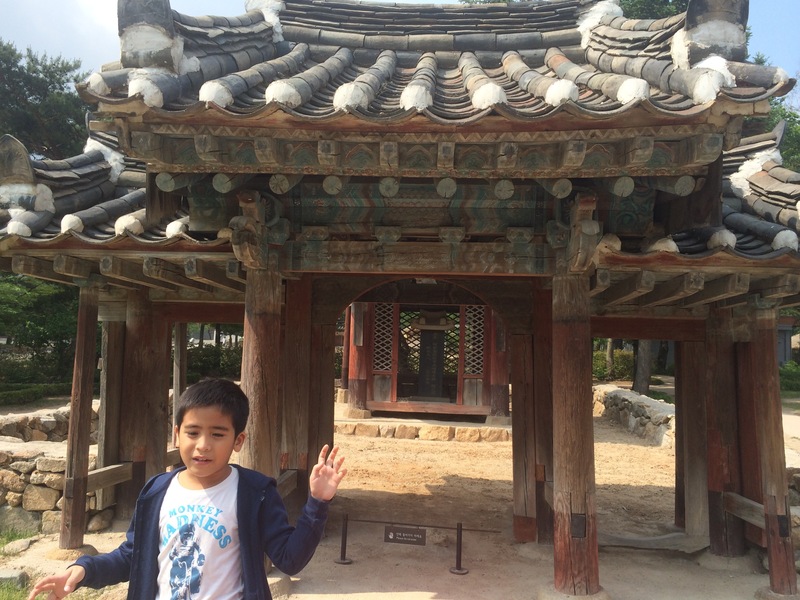 Then he was lucky enough to discover Korea on the very same birthday month with his grandparents! While this little girl spent her first birthday quietly with very few family members in Prado Biodynamic Farms in Pampanga, Philippines. While spending for a grand party for family and friends may also have it’s benefits of sharing the festivities and fun with more people, I do think that it’s also important to choose solemn celebrations once in awhile. Choose to travel and bond with the few people that matter. These intimate moments will be cherished for a lifetime. Please redirect your browsers to our very new home address http://www.mylittleglobetrotters.com Yeeehaaa!